“The money and support that Mary’s Pence provides has helped us feel less anxious as we faced challenges in our work. 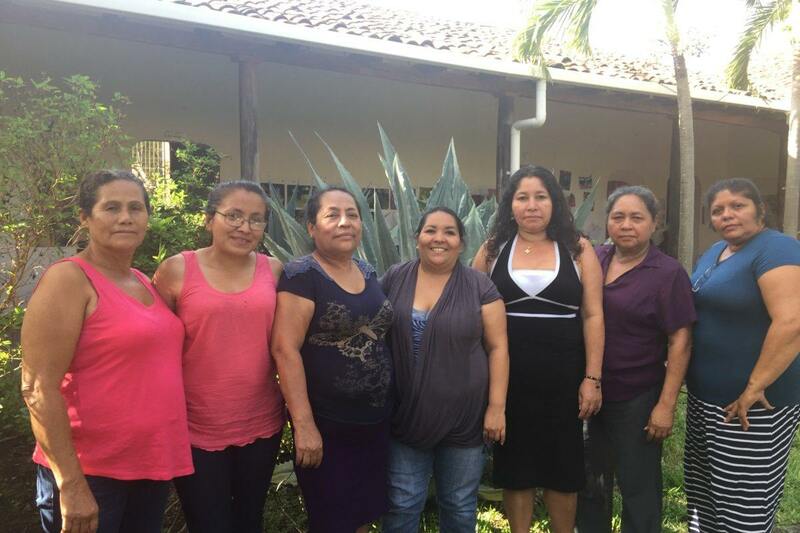 We see Mary’s Pence accompaniment as a model for us,” Marlene shared in a recent meeting between Concertación de Mujeres de Suchitoto (Concerta) leadership and Mary’s Pence staff. Concerta has been a partner in the ESPERA community lending program since 2008. Recently, Mary’s Pence invested in several facilitated sessions about planning, prioritizing, developing strong internal communications, and working collaboratively. ESPERA staff have also been mentoring Concerta’s leaders as they have begun to put their new skills to work. Like all of our ESPERA partners, Concerta is an association of women working on critical issues of justice in their community. The organization was formed shortly after the armed conflict of 1980-1992. During the conflict, women had worked as equals alongside men. After the conflict, they found that they were once again relegated to traditional roles. The women formed Concerta to resist this regression, focusing their attention on women’s health, domestic violence, economic inequality and institutional strength. Concerta has over 300 members living in the rural communities surrounding Suchitoto. Their work encompasses four major areas, and there are just seven leaders. It’s no wonder they have found it difficult to take time to talk and plan with each other. At times leaders have been working with the same women from the same community, but not coordinating visits or their support. In fact, they were working so separately that each area of work had a different budget. This lack of communication has caused occasional conflict. Mostly, though, it has just been inefficient and unnecessarily burdensome for both leaders and members. A strong organization will help amplify women’s voices, respond to community needs, and be a sustainable community resource. This foundation of strong support is a key component of success for individual women in the ESPERA program. It’s what makes us confident that the social and economic empowerment ESPERA women experience will be long lasting. By investing in the capacity of our organizational partners we are investing in sustainable change. Over the past year and a half we have supported the Concerta leaders as they have worked to improve collaboration. We funded two initial meetings of two days each with a facilitator who guided them through strategic and operational planning. The facilitator helped them understand each other’s work and identify where they could pool their efforts for better results. They now have a budget that covers the whole organization, integrating needs across projects. The leaders also now have regular monthly planning meetings. This allows them to collaborate on logistics of visiting rural communities and integrate their support of individual women more effectively. Learn more about the ESPERA Community Lending program or ways to support Mary’s Pence.